with the active assembly point! Evacuation in case of an alarm is an individual and complex process. In this case, particularly people such as suppliers and visitors always represent the weakest links in the process chain. They usually do not know each other on the site and do not know where the assembly points are, nor are they familiar with the correct behavior. Therefore, it is particularly important to take these persons on their hands or to include them in an evacuation plan. 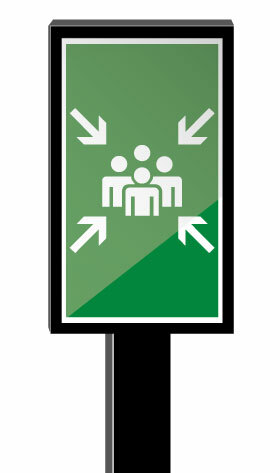 In the case of an evacuation, the reliable determination of regular staff and visitors at the designated collecting points is often difficult on large sites. With the idea of ​​the active collecting point, this demand can be solved quite simply and with the user. Regular employees register with their access control cards or time recordings at the assembly point. Visitors, on the other hand, scan a QR code or use the manual key input on the terminal. The visualization of the acquired data can be transferred to third party systems in real time. Comprehensive reporting on evacuation is also taking place. This helps to evaluate the measures taken and can help to improve the next evacuations. A seamlessly interlinking workflow with access control, individual location planning, building management systems and the possibilities of a broadband arming up to check-in at the assembly point guarantee fast and precise evacuation. In addition to emergency conferences, which can be convened directly between the individual pillars, the assembly points also have a direct connection to the respective control room. Here, for example, recordings and protocols can be viewed and evaluated directly. The pillar is configured and populated according to customer requirements and can be produced in different dimensions and colors. The selection of the individual modules (QR Code Scanner, Intercom, etc.) is tailored directly to your needs. * The pillar can optionally be equipped with a QR code scanner, a speech station as well as a touchpanel. In the standard, delivery includes only the regular reader for access control. With the QR code scanner a registration / badging of the visitors at the Assembly Point is possible without problems and uncomplicated. Connection to access control systems such as Stanley / PAC, Lenel, Siport / Siemens, as well as to barriers and separation systems. 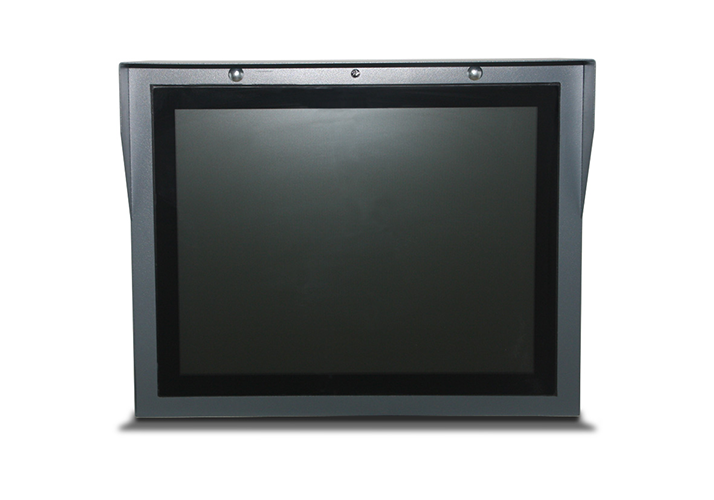 Robust and weatherproof full-touch display, suitable for daily use and outdoor use. Integrated intercom for communication between the control center and the collection point or the individual collection points. 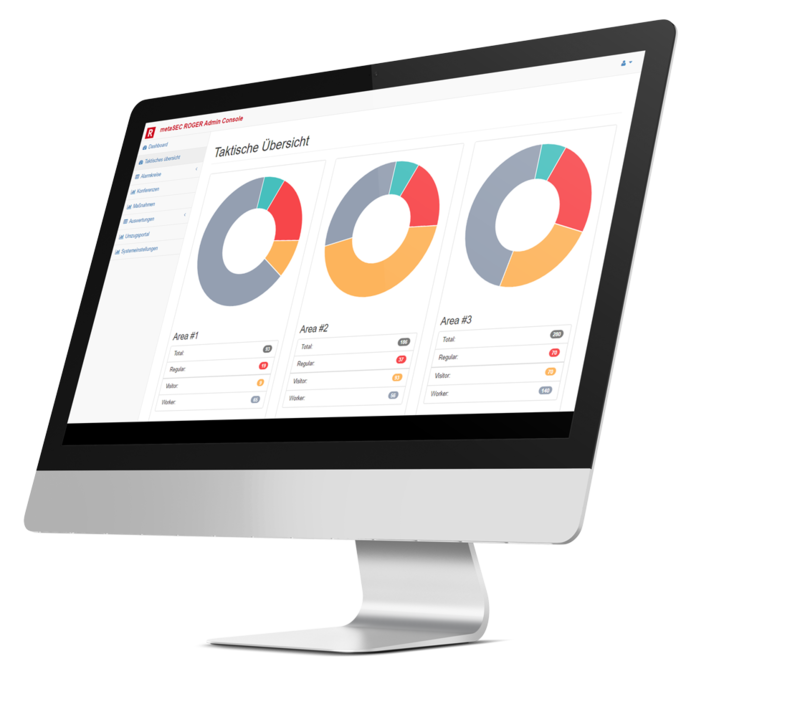 The tactical dashboard helps you monitor the alarm or evacuation situation. Keep an overview of the evacuated people at any time and see who is still on the site. You can also use the dashboard to hold emergency meetings, plan and initiate actions and track the progress of the evacuation. Use the telephone book function to find the numbers of your colleagues or employees and call them directly via the Assembly Point. This way, you can clarify who is where or where an emergency telephone conference is convened. The interactive steele (stand pillar) is configured and populated according to customer requirements and can be produced in different dimensions and colors. * The steele can optionally be equipped with a QR code scanner, a speech station as well as a touchpanel. In the standard, delivery includes only the regular reader for access control. Integrated intercom for communication between the control center and the assembly point or the individual assembly points. The wall mounting terminal is configured and populated according to customer requirements and can be produced in different dimensions and colors. The selection of the individual modules (QR Code Scanner, Intercom, etc.) is tailored directly to your needs. * The terminal can optionally be equipped with a QR code scanner, a speech station as well as a touchpanel. In the standard, delivery includes only the regular reader for access control. Integrated intercom for communication between the control center and the assembly point or the individual collection points.